Application deadline extended to 17 February! Potsherds constitute the most frequent group of finds on archaeological sites in the Mediterranean. Thus pottery studies form an essential part of any archaeological research project. Pottery usually offers the most important evidence for dating sites and provides a major source for studies ranging from trade relations and food consumption to questions of identity. The Summer School in Roman Pottery Studies is a four-week program designed to present the basics of Roman pottery studies, which can be gained only through direct contact with ceramic assemblages. As Rome had the most diversified pottery supply among sites in the ancient world, the AAR is well placed, through its own collections and other material deposited there, to teach a subject rarely offered in American universities. Since the School’s establishment in 2006 to honor the memory of Howard Comfort (a Fellow of the American Academy in Rome and an eminent scholar of Roman pottery), it has thus come to fill a need, gaining a reputation as the premier venue for introducing aspiring scholars to the field, and its alumni are increasingly in demand on projects in Italy and elsewhere. The course consists of two parts: the taught seminar, where students will learn the fundamentals of Roman pottery including single ceramic classes with their characteristics, function, date and provenience. This section will also include a variety of field trips and visits to major collections. In the second part the participants will apply their knowledge to an assemblage of ceramic Veii. This element is designed to give the participants practical experience by working on their own or in small groups under the supervision of the director. 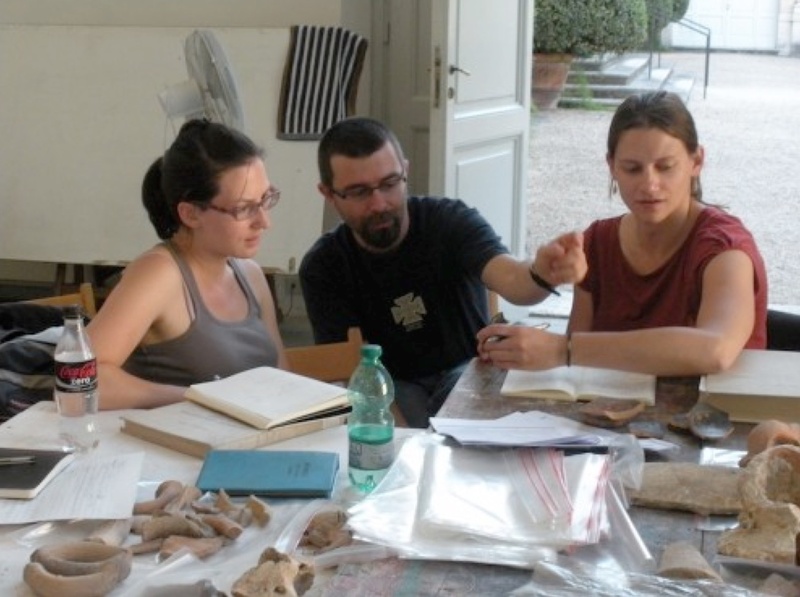 The Howard Comfort FAAR ’29 Summer School in Roman Pottery at the American Academy in Rome is accepting applications for its session to be held for five weeks from 22 June to 24 July 2015. Potential candidates should be aware that this program is now offered every two years and will be repeated in 2017. The program’s aim is first to introduce the participants to the study of Roman pottery and then for them to apply their knowledge under the guidance of the director and the assistant in processing a ceramic assemblage, which the participants may work up for publication. It is assumed that the participants will have some grounding in classical studies (and hopefully archaeology) but not specifically in pottery studies. The program is directed toward graduate students, as well as advanced undergraduates and practising archaeologists. The program is open to all citizens of any country with a sufficient knowledge of English, which will be the working language. Potsherds constitute the most frequent group of finds on archaeological sites in the Mediterranean. Pottery usually offers the most important evidence for dating sites. Furthermore, ceramological databases provide a good source on issues ranging from trade relations to the consumption patterns of food and questions of identity. The Summer School in Roman Pottery Studies is a five-week program designed to present the basics of Roman pottery studies, which can be gained only through direct contact with ceramic assemblages. Since the School’s establishment in 2006 to honor the memory of Howard Comfort (a Fellow of the American Academy in Rome and an eminent scholar of Roman pottery), it has gained a reputation as the premier venue for introducing aspiring scholars to the field, and its alumni are increasingly in demand on projects in Italy and elsewhere.